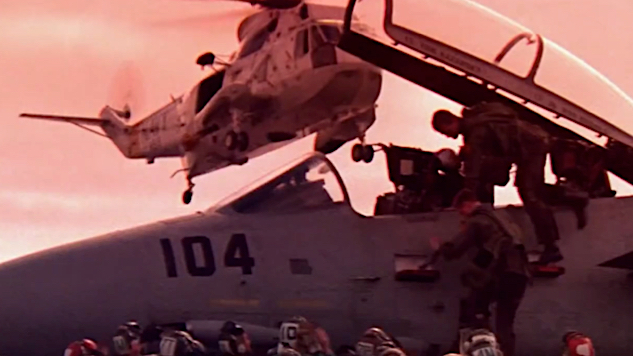 The sequel itself, titled Top Gun: Maverick, has been in some stage of development hell for what seems like ages. Up until his death by suicide in 2012, Scott was actively working with Cruise on developing a sequel. Not much is known about the plot for the sequel, but it has been said to concern the advent of drone combat and where actual fighter pilots stand in the face of the ever-increasing robotization of warfare. Top Gun: Maverick is directed by Joseph Kosinski, who previously worked with Cruise on 2013’s Oblivion, working from a screenplay by Peter Craig (The Hunger Games: Mockingjay) alongside Eric Warren Singer and Justin Marks (Jungle Book). Jerry Bruckheimer is producing the film through his production company Jerry Bruckheimer Films for Paramount Pictures. There have been no other official looks at the rest of the film’s cast, as almost everything is still under wraps. Top Gun: Maverick is set to release on July 12, 2019. Until then, enjoy one of the single greatest moments in cinematic history.